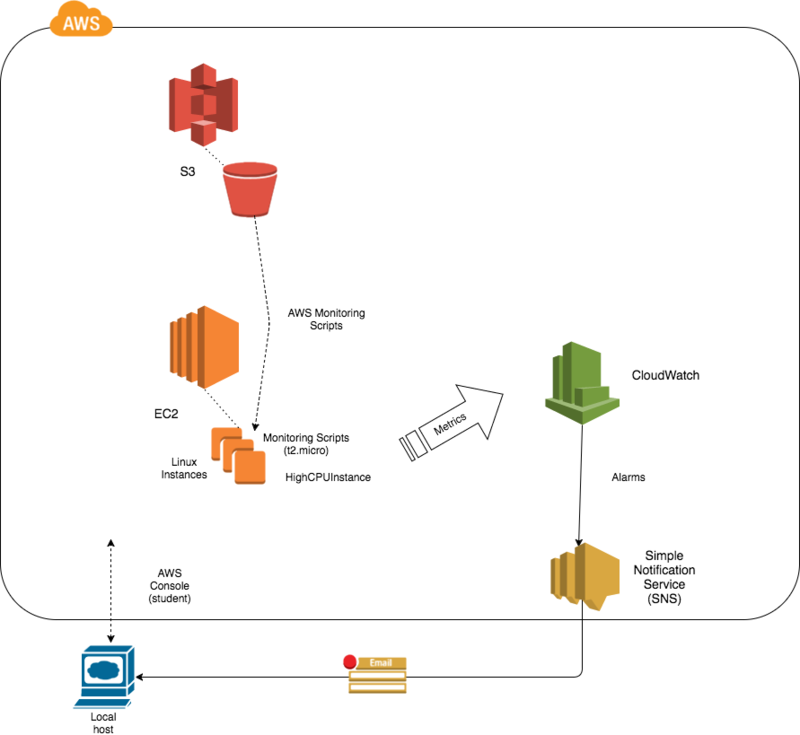 In this Lab, you will explore CloudWatch, a monitoring service provided by AWS. CloudWatch makes it possible to monitor nearly anything inside or outside AWS. 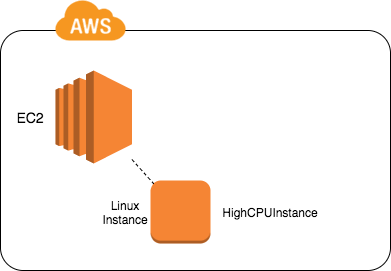 Common usage is to monitor EC2 instances for CPU and memory utilization, ephemeral or EBS volume disk usage and throughput, as well as network statistics. CloudWatch also enables you to configure alarms, so that when thresholds are violated for specific metrics a notification and/or action is automatically triggered. September 14th, 2018 - Updated the Lab to reduce the amount of waiting (detailed CloudWatch monitoring, higher frequency metric script) and modified instructions to reliably receive an email notification for the second alarm. July 9th, 2018 - Updated CloudWatch monitoring commands to work with Amazon Linux and Amazon Linux 2. The instructions now use Amazon Linux 2.